Is there a better alternative to Camera Retro? 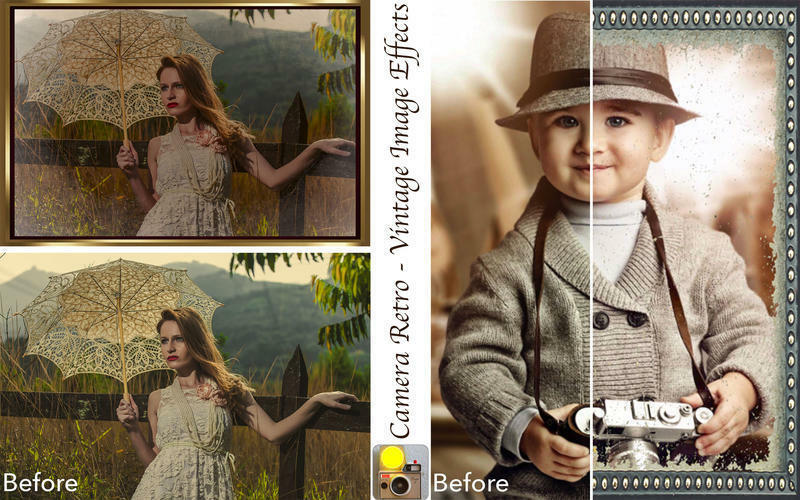 Is Camera Retro really the best app in Designs and Graphics category? Will Camera Retro work good on macOS 10.13.4? 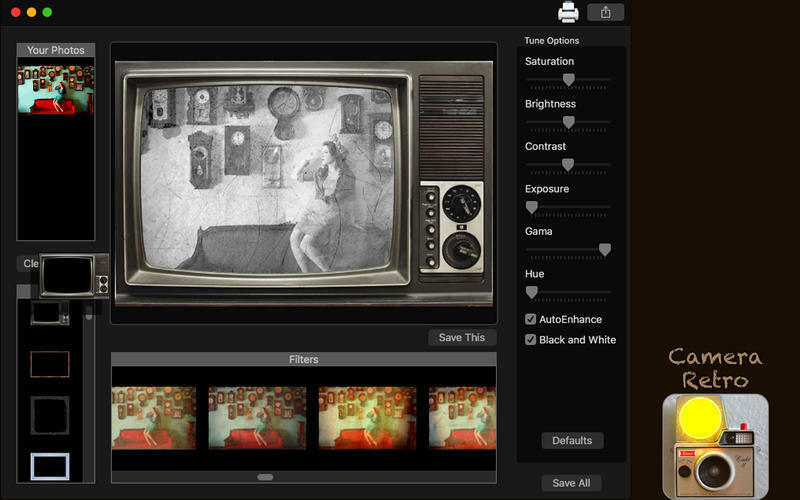 Camera Retro provides 74 amazing filters, which 10 are unique, and 40 frames with an easy to use interface to provide you the better ways to turn your photos in amazing vintage posts and memories. 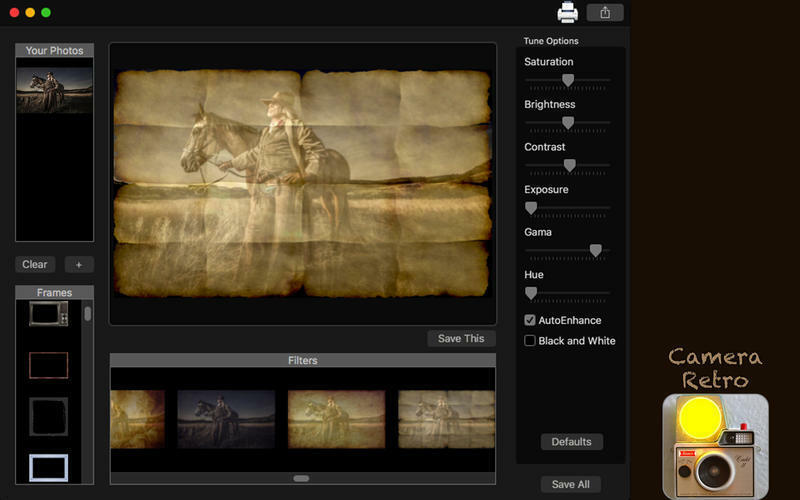 Adding Images: You can add one or more images to apply the filters and frames. Color Correction: Enhance the quality of your pictures using the tools Auto-Enhance, Black and White effect, Saturation, Brightness, Contrast, Exposure, Gama and Hue. Light Adjustment: Using the exposure tool, it’s possible to increase or decrease the light effects of the picture. Now with 66 new filters. And 10 of them are unique. You can share directly from the app now and also print. 39 frames were also added. and you can apply them on multiple photos at once. Camera Retro needs a review. Be the first to review this app and get the discussion started! Camera Retro needs a rating. Be the first to rate this app and get the discussion started! 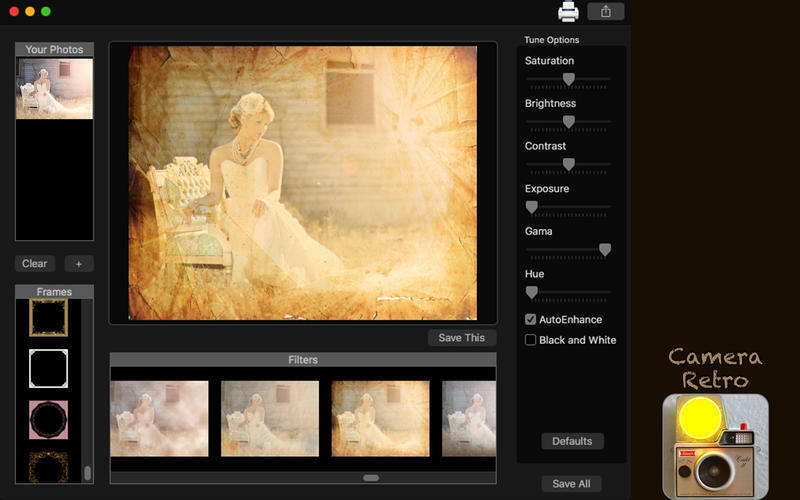 Using filters: You can choose between 74 beautiful vintage filters, which are 10 of them unique filters to use on your image. Using frames: Choose between 40 fancy vintage frames to apply on your pictures. Share on social media: With just a simple click, you can share your photo directly in social network. Print images: You can print your new image with just one click. Export Images: You can save your image with the formats PNG, JPEG, JPEG2000, TIFF and BMP. 74 different filters, 10 unique. Save images with PNG, JPEG, JPEG2000, TIFF or BMP formats. Open almost all types of image formats.